Leafcutter ants, belong to the 47 varieties of leaf-chewing ants, some of them coming under the genus, Acromyrmex and Atta. The Leafcutter ants are scientifically referred to as Tribe Attini. This type of fungus-growing ants of the tropical regions are widespread in the Central and southern parts of America, Mexico and other regions of the south of the United States. 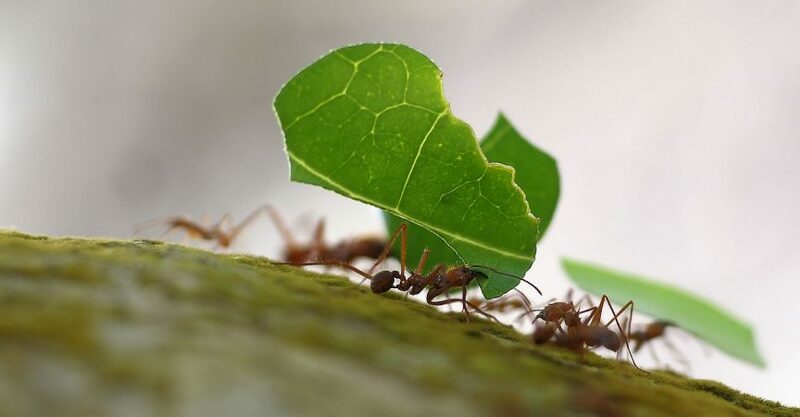 Leafcutter ants chop and process the fresh green plants (flowers, leaves and grasses) which become the dietary substrata used for their fungal cultivation. Their foraging line comprises of 100’s to 1000’s of ants and they carry with them tiny pieces of leaves, a sight, that helps you to identify them easily. This track of travelling cut pieces of leaves goes can extend up to 30 m (100 ft) crossing the forest area ascending and descending the trunks and canopy of trees. 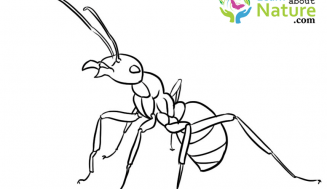 The genus Atta and Acromyrmex have similarities in their anatomies. ; in spite of that, it is possible to differentiate between them by their external features. Their characteristics are: Atta ants possess three pairs of spines, besides on the top surface of the thorax there is a smooth exoskeleton, whereas the Acromyrmex ants possess four pairs and their exoskeleton is rough. After the humans, it is these cutter ants that encompass the biggest and highly complicated society of animals in the universe. Within a couple of years, the mound in the central part of their nest below the ground grows to over 30 m (98 ft.), breadthwise, with tinier molds emerging to a radius of 80 m (260 ft), occupying an area of30 – 600 m2 (320 to 6,460 sq. ft.), which can house about 8 million ants. Leaf cutter ants do farming on fungus that they cultivate as food on their own. This is a variety of fungus found in the gardens below the ground. In the beginning of the life of the queen ants, they have wings, which they make use of to mate in flight. The queen ant mates with a single male ant or with several male ants. After her mating, she flies into her nest. Here she discards her wings and uses her entire life in laying eggs. To begin a fresh colony the queen in her flight takes along with her, in her mouth a little fungus so that she can start a garden of fungus in the fresh colony. The several daughters of the queen ant are sterile (do not reproduce) and wingless, they are the worker ants. The tiniest worker ants take care of the eggs, cultivate fungus and also supply food to the ants in the colony. 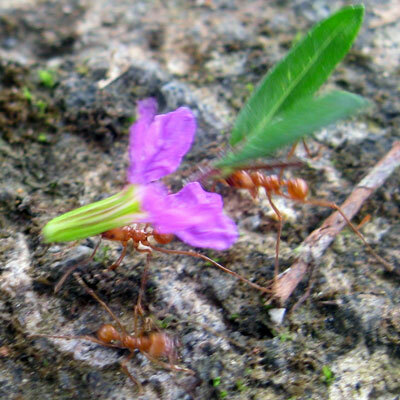 The bigger worker ants go to gather leaves from the outside. 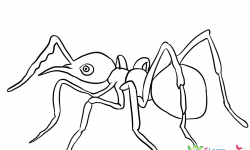 Most of the ants in the nest are worker ants. The worker ants that are big in size are, the soldier ants (sterile female ants). These soldiers protect the group of ants that collect leaves. The males are small and have wings. 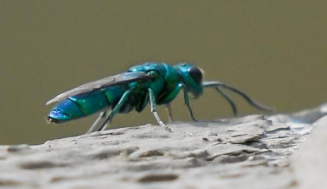 They fly from the colony to mate with a queen. They die soon afterwards. 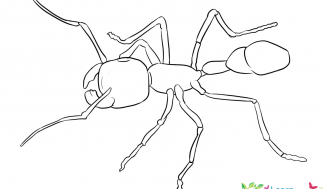 Just like the other insects, ants also possess jointed legs. Their body is made up of three parts, the thorax, the head and the abdomen, besides which, they have a hard exoskeleton and a pair of antennae. The material, by which the exoskeleton is made, is exactly like that of our fingernails. The legs of the big Leafcutter ants are long. The length of the worker Leafcutter ants can range from 0.1 to 5 inches, while that of the males is 0.5 inches. The legs of the queen exceeds 1 inch. The colors of the Leafcutter ants vary from red to brown and black. The four stages in the life cycle of an ant are: the egg, the larva, the pupa and the adult. Female ants are produced from the fertilized ants. (Workers, queens or soldiers). Males are produced from the eggs that are not fertilized. The jaws of the Leafcutter ants are very powerful; their jaws vibrate thousand times within a second, in the process of slicing off pieces of leaves. These ants have remarkable body weight, strong enough to lift leaf pieces of weight to a minimum of twenty times the weight of their own body. This is similar to a person lifting a weight equal to 1 ton. Similar to the bees, the colonies of the ants also have workers of different types. 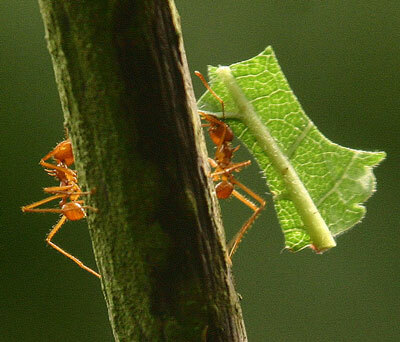 It is underneath the ground that the leaf-cutter ants work, they process the leaf pieces brought back by the harvesters. The ants cut pieces of leaves, using their jaws and transport the fragments to the nest below the ground which consists of 1,000 compartments and accommodate millions of single ants. 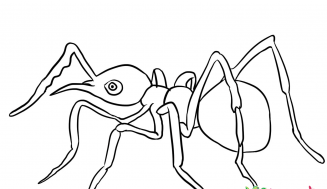 The ants belonging to the genus of Atta are distinguished by ants of different sizes based on their responsibilities like the soldiers, worker ants. Guards and the reproductive. These ants farm subterranean fungus “gardens”, which are chemically and physically, quite deep in the nest, They discard the pollutants and generate enzymes and amino acids to promote the growth of fungus. In addition, they emit matter that withholds the growth of any other fungus. The ants go a little distance from the nest to search for leaves. They trace back their way to the nest by generating and putting down a trail of pheromone, a perfume. 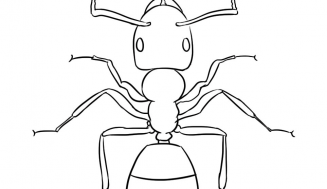 The perfume is strong and each ant can produce only one billionth of a gram of it. 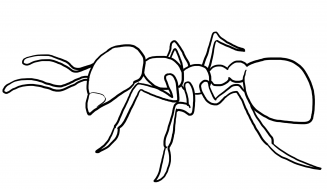 One gram of this Pheromones is sufficient enough for one ant to trail throughout the world. The habitat of the leaf-cutter ants is the semi-tropical forests and tropical rain forests of South America and Central America, and also in regions south of North America. In the tropical forests of the new world, you often find the large nests of these ants amidst big trees located quite far from each other without much undergrowth – with the arrangement of a park which they make on their own. 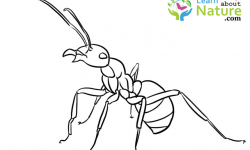 These insects that are social in nature, dwell in massive colonies underground (big families of associated ants) In every colony there are millions of ants. In the new forests of the tropical world, these leaf cutter ants dominate the herbivores. It is estimated that these Atta ants are solely responsible for cutting 12 to 17 percent of the leaf produced. The grass-cutting varieties can also boast of similar capabilities. One such species, A. Capiguara, is responsible for reducing the commercial value of pasture land in Brazil and Paraguay by as much as 10 percent.